Manchester is one of ten super-connected cities that will benefit from faster and better broadband for small businesses, with a voucher scheme launched to contribute towards the costs of connections for those businesses. In addition, almost all of the participating cities will deploy wireless coverage to city centres and inside public buildings with funding from Broadband Delivery UK. Grants of up to £3,000 are available to small businesses to get superfast internet connections. This is part of the Superconnected Cities project by the government. On Thursday 7th August Levenshulme a incredible Edible have a session on planting wildflowers for pollinators with Marva from Debdale Eco centre. Everyone welcome, please come along at 18.30 to the quadrants on the Fallowfield Loop (next to Crayfield Road). On Sunday 7th and Saturday 13th September we’ll be starting work to transform our section of the quadrants site – opposite the community orchard. Plans include a wildflower meadow, perennial herbs, a fruit bush foraging area and some raised beds for vegetable growing. If you’re free please join us from 10.30am. All help very welcome. Finally, just a reminder that it’s the Tonbridge Road Allotment Show this Saturday 2nd August 14.00-17.00, at St. Mary’s church on Elbow Street. Arcadia Roller Hockey and Derby end their time in Levenshulme this week. The teams will be packing up Mon-Wed as part of their move to their new home at Ardwick Sports Hall before the site is handed over for redevelopment as the new Levenshulme facilities (pools, gym, fitness/community room and library). Open public skate sessions are taking place Saturday and Sunday from 14.00. This will be the last chance to skate at Arcadia in Levenshulme. If you can help with the packing up then pop along Mon-Wed this week anytime from 10.30 to lend a hand (bring boxes if you have them). If you are 60+over or 16+under you can swim for free at Levenshulme Baths right now. The Roller Hockey and Roller Derby teams based at Arcadia are relocating to Ardwick Sports Hall in preparation for the redevelopment of the site for the new Levenshulme swimming pools, library, gym and community facilities. This means they need help clearing the current Arcadia building. If you can help out then pop along to Arcadia anytime from 10.30, Monday 28th – Wednesday 30th July next week. Meet and start at the Crayfield Road entrance to the Fallowfield Loop cycle path, ending at the tip or secret lake. All welcome, children must be supervised. The St Mark’s Summer Fair is on this Saturday, 19th July, 11.00-14.00. The LCA is holding a Community Forum meeting on Friday 25th July. This is a public meeting to discuss the future of our current library building after the library moves to the new Arcadia facilities next year. 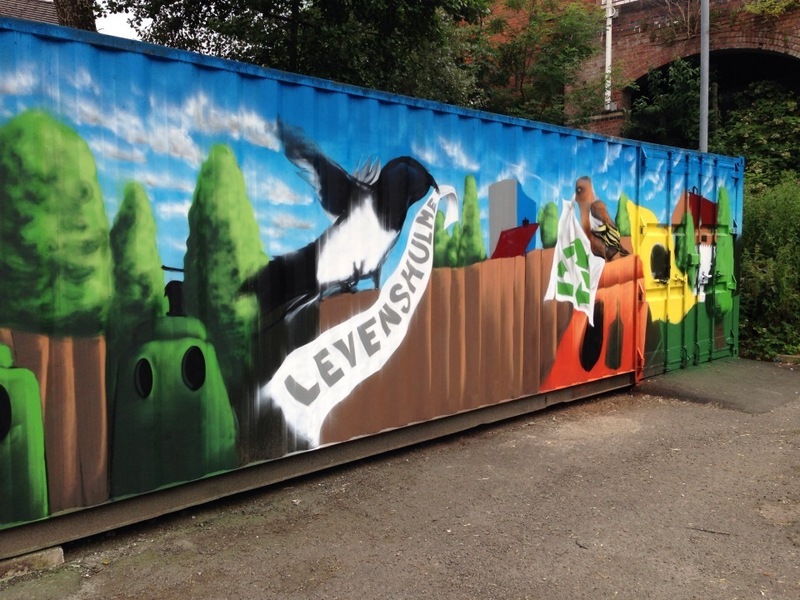 A new community space for Levenshulme? A real Community Centre and a home for community groups in Levenshulme? An inclusive space for young and old, of all backgrounds and interests? Do we want to make this happen? 19.00, Friday 25th July @ the Klondyke Club, 1 Burnage Range, Levenshulme. Levenshulme Community Association are organising a public meeting to discuss the future of the current Levenshulme Library building. Councillors have given commitments to retain the building in public ownership with access and use for residents. But how could this be done? Could this become the Community Centre / space for community use that Levenshulme so desperately needs and that we are promised when the last Community Centre was demolished? This LCA Community Forum meeting will also provide the opportunity to discuss other issues and raise concerns. Meeting now confirmed for Friday 25th July, 19.00 at the Klondyke Club, 1 Burnage Range, Levenshulme. The planning application for the new Arcadia building (swimming pools, library, gym and fitness/community space) has been submitted by Manchester City Council. Letters are being sent to nearby residents and community groups. These will advise residents and groups of the proposed development and give them the opportunity to comment, if they wish to do so.